I am so happy to finally have warmer weather. 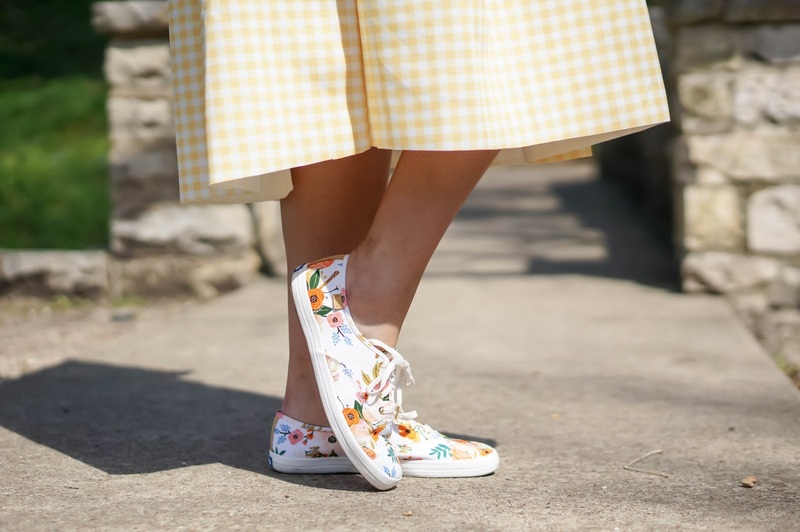 I love spring for all the fun floral prints and bright bold colors. I definitely don't like the winter and all the layers you seem to have to wear, and can we also talk about all the muted colors... that's just not my style. I have been dying to wear this dress since it arrived. I absolutely love the asymmetrical bow and bright gingham print. 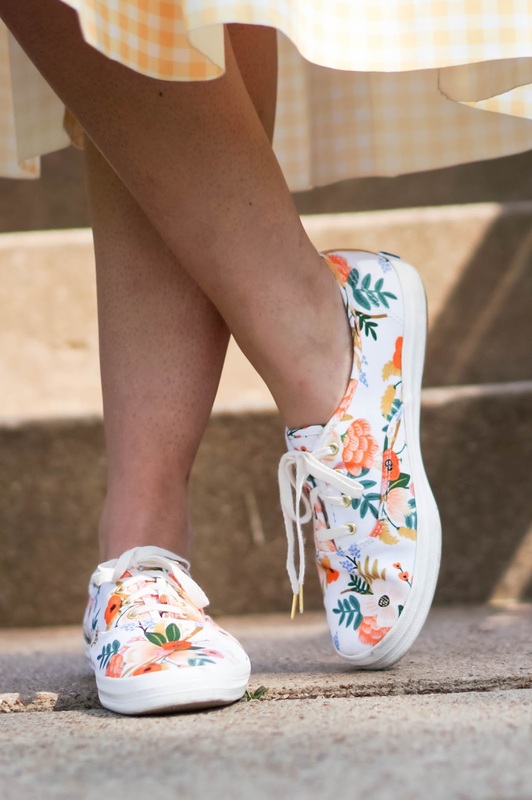 To keep this look more casual for work I added in my floral print Keds (another easy way to print mix). 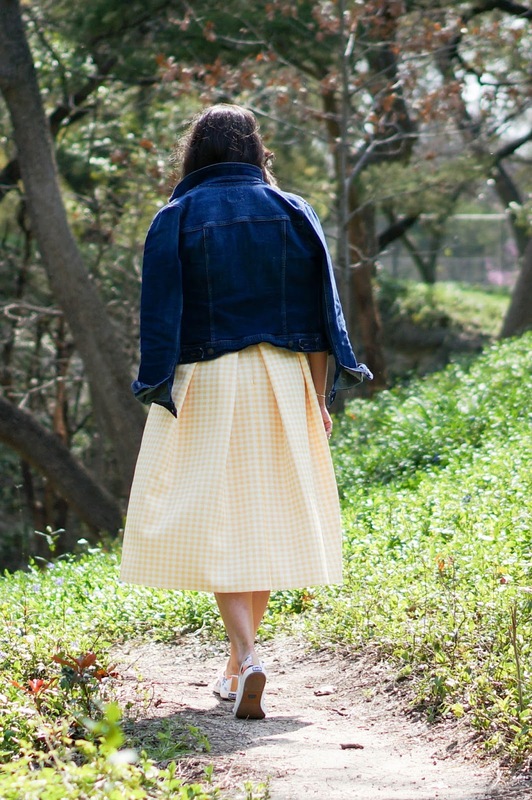 Since the morning was still cool I threw on a light-weight denim jacket- another casual touch and light layer to combat the crazy temperatures that seem to come with spring. You could easily dress this look up by pairing it with a strappy heel and bold statement earring or add a little more flair with a bold colorful heel! If the versatility of this look doesn't have you then how about the fact that this dress is currently on SALE! I have linked it below, get it before it's gone!